We’ve shared patient stories from all over the state this week on our social media channels. 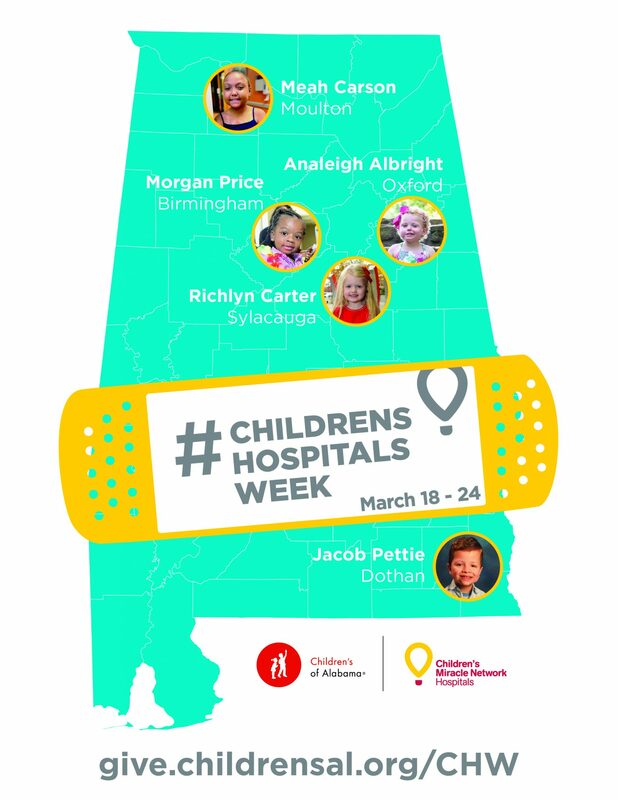 Please check our Facebook page and Instagram to learn more about the kids pictured above and why it’s important to support your local children’s hospital, Children’s of Alabama. You can help kids like Meah, Richlyn, Analeigh, Morgan, and Jacob get the best care they need when they need it. Share their stories and donate today!